Visit our sister company, Covington Planter Company, featuring mechanical planting and fertilizing equipment. 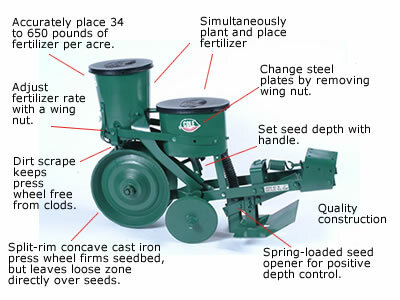 The following diagram represents the technical features of the Cole Planter 12 MX Multiflex. For more detailed explanations of the features of the 12MX, downloadable user manual and brochures, please visit our 12 MX Multiflex Features page.